Visit us at the International Roofing Expo, Booth 2201, February 11-13. Meet our fantastic team, including the Beiler family, and see the Equipter RB4000 demo unit in action. Are you interested in a used Roofer’s Buggy? Stay competitive. Stay profitable. If you’re going to lead your rental company to long-term success, you need to stock the equipment contractors want and need to do their jobs efficiently and profitably. You already know you need more than quality tools and hard working crews to start a roofing company that helps you make a good living. What’s in a name? A lot if you’re starting a roof replacement business from scratch. Will we see you at the 2018 East Coast Builders Conference (ECBC)? What types of insurance should a contractor have? This guest post from Rachel Porter at Custom Contractors Insurance provides an overview of how to protect your business. Putting your faith in build it and they will come doesn’t work in a competitive space like construction. These construction advertising tips you aren’t using yet will help you grow your business and edge out the competition. Business is growing—and that’s a good thing. If you can manage those growing pains, that is. Use these commercial roofing business tips to build your contracting business the smart way. Referrals are as good as a golden ticket to the chocolate factory if you’re in the renovation contracting business. But it’s not enough to just hope that happy customers will spread the word. Build a more robust business with these do’s and don’ts for getting home renovation referrals. Content strategy for your construction business marketing is about so much more than pumping out Facebook posts or blog entries. If you plan to invest time and money into content to attract prospects and engage clients, then you need to have three essentials in place. Landscaping is a competitive business—and you can’t afford to lose prospects because your company’s pitch is less than par. These tips will help you develop an approach to your landscaping sales presentation that will give those close rates a boost. From Facebook to Google, digital advertising can be a savvy tool for landscape companies. But if you’re new to digital landscaping ads or simply want to take them to the next level, incorporate these tips into your strategy. Why should a homeowner choose you to repair or replace their roof? That’s the bottom line question if you want to build a successful roofing company. And the answer lies in marketing. But if you haven’t focused on marketing before or you’re opening a new roof replacement company, it can be a challenge to know where to start. Use these resources to build and grow a marketing plan that earns customers, nurtures trust, and generates referrals. In a competitive business like landscaping, every online review counts. But if you’re busy planning beds or scheduling projects, it can be tricky to know where to start if you want to leverage the power of reviews and ratings to build profit. Here’s what you need to know to get better online reviews for landscaping. When you’re in a service business like landscaping, referrals are the foundation for building a profitable company. Put referrals to work for you by building an action plan designed to deliver the stellar work and build the good relationships that generate landscape business referrals. Installing a quality roof is only one component of building a profitable roofing business. You also need to have your marketing in order. Avoid these marketing mistakes so you can build better profit potential. Whether you’re starting a new landscaping business or rebranding an existing one, choosing a name can feel as stressful as naming a baby. In fact, in some cases, it’s easier to name a newborn! But if you follow these tips, you can choose the best landscaping business name with more confidence. Success in the roofing replacement industry isn’t about luck. And it usually isn’t about the kind of education you have. Rather success comes from doing the basics—and doing them well. Put these must-do things to get roofing jobs at the top of your to-do list. Growing grass is one thing. Growing your business? That can seem tougher sometimes. But you can build a healthier bottom line when you incorporate the right strategies. Leverage these landscaping business ideas to help you sell more. The seed of any successful landscape business lies in an effective marketing plan. But what steps can a busy business owner take to move marketing to the next level? Boost your landscape marketing with these pro tips. Roofing crews needed. If you find yourself advertising for skilled roofing help, you know how hard it can be to get the job done right when you’re shorthanded. Equipment matters when you want to grow a landscaping business with a healthy bottom line. And, for many pros, a sturdy, quality trailer is a must-have workhorse. Which is the best landscape trailer for your business? Wishing you had higher landscaping sales won’t make it so. However, you can take action to lift sales so your landscape business builds better profit potential. Here are steps that will help you lift landscaping sales at your business. You’re a pro at getting lawns green—but designing landscape ads is a whole different bag of fertilizer. The good news is you don’t need to have a graphic design degree to create effective advertising. Check out these 6 landscaping ad design tips. From flower beds to pesky grubs, you can handle landscaping like a boss—and know you want to put those skills to work building your own company. Dive into your venture with a running start by learning these must-know tips to start a landscape business. It’s one thing to wish for a better bottom line—it’s another thing to take actions that move you toward that goal. Here are five roofing technology tools business owners can leverage to boost efficiency and build a healthier bottom line. Work smarter—not harder. It’s a simple concept, but one that can radically raise your profit potential. Learn 5 things you can do today to boost productivity in your roofing business. Manual labor is a significant part of any HVAC, electrical, or plumbing business. And if you’re an owner or manager, you might feel like you’re on a neverending mission to reduce labor hours. With professional contracting equipment, like a mobile crane, you can do exactly that. As a roofing company owner or manager, you eat important decisions for breakfast. One of those critical calls is deciding to hire a salesperson. Use these roofing sales training tips to help new or current employees sell the right way so you can boost close rates. When you install a product with a lifespan of fifteen years or more, does roofing customer satisfaction really matter? You bet! A successful roofing business is built on referrals—recommendations you can nurture by providing a stellar experience that puts homeowners’ needs first. The right tools are a must-have any time you need to get a job done right. And, no matter how many years of experience you have as an HVAC professional, you know this firsthand. These HVAC tool kits are a good place to start. When you work hard as a roofer you need the right roofing productivity tools if you’re going to get the job done right. The problem is that sometimes the tools you need are simply too big for the task. Think of those conventional dumpsters you need to park on the street—well away from where you actually need them, which is right next to the home. It’s time to make your roof replacement business work smarter, not harder. Your HVAC tools can make your job easier—or harder. If you want to get the job done right, it’s a must to use tools that let you work quickly and efficiently. Add these top HVAC tools to your truck or tool belt. You may not have any control over stormy weather delays or a customer who can’t make up his mind about shingle color, but you can take steps to boost roofing productivity on your crews. A website is more than a digital flag in the sand. When done properly it’s a powerful marketing tool that will help you build a healthier bottom line for your roofing business. Whether you’ve just made the decision to strike out on your own or you’re already in the beginning stages of starting up, you’re no doubt working your tail off to transform your idea into a profitable success. Here’s what you need to know to start an HVAC business. Home show time means it’s also time to reboot your show HVAC or roofing marketing strategy—and that includes using swag the right way. Some properties give you plenty of space to maneuver roofing tools and materials. Others? Not so much. But you can manage those tight spaces, making it easier for you or your crews to complete the job efficiently and professionally—so you can earn raving reviews from homeowners. The Equipter team is getting ready for the International Roofing Expo March 1-3, 2017, at the Mandalay Bay Convention Center in Las Vegas. You see roofing competitors at the top of search engine listings and wonder: how do I get a top spot? While many factors contribute to search engine results, local roofing SEO is one of the most important—especially when you’re marketing the business in an area with lots of competition. Learn how to use this technique to boost your company’s ranking on search engines. Selling roofs is hard work; and it doesn’t help that door-to-door salespeople aren’t always welcome, especially if the homeowner is worried you’re a fly-by-night contractor. However, roofing professionals can learn how to sell roofs door to door successfully with these tips. Sales professionals are big investments for roof replacement business owners, especially if you’re an owner who’s traditionally taken on that role yourself. So it pays to make sure that, when you take the plunge, these critical team members are properly trained. Here are mistakes to avoid when training your roofing salespeople. 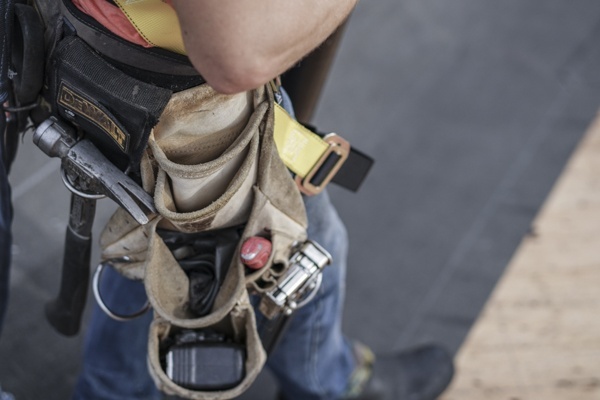 Are your roofing replacement crews equipped with the tools that help them get the job done right? Learn the must-have roofing hand tools your crew needs to finish the project safely and efficiently. Want to close more sales? Of course, you do! But you can’t do that if you’re dogged by poor pitching techniques. Reboot your presentation with these effective roofing sales pitch tips to help boost your close ratio. Does your roof replacement company use a roadmap for success? Whether you're just starting a roofing business or working to boost an established one, use these 7 tips to set up your roofing business plan so you can build a more profitable company. What do your marketing materials say about your roofing business? Do they compel the homeowner to call for a free estimate…or toss the material in the trash? Use these tips to make your roofing brochures, flyers, and other collateral marketing pieces more effective. Roofing professionals know that tools are a must-have part of getting the job done correctly and efficiently. Add these 8 unique roofing tools that boost productivity to your Need list. Productivity mistakes can cost a roofing company big dollars, especially if they’re repeated day in and day out. Find out which common productivity errors might be dinging your bottom line. If you want to grow your company, nailing on a good roof is only half the battle. The other half is making the decisions that will guide your small business to success. Bookmark these 15 roofing business resources now so you can easily get answers to questions, find expert guidance, or simply catch up on your industry reading. You can’t wish your way into a booming roofing business. Building a business that offers a valuable service and provides for your family and employees takes hard work in the office as well as on the rooftop. Here are four roofing business terms you can’t afford to ignore if you want to grow your company. Are you ready to transform your HVAC business into a lean, mean productivity machine? If you’re a business owner or manager, use these HVAC productivity tips to rock your time and resources for a better bottom line. Defining a specific marketing term isn’t just a test question for people earning business degrees. The ability to understand certain terms and, when needed, put them into action will help any roofing or contracting business grow. Here are 5 marketing terms that should be at the top of your to-know list. You can’t market effectively to potential customers if you don’t understand the people seeking the services you offer. And one of the best ways to understand what your customers want and need is to get inside their heads. Building customer profiles, or “personas,” is an important aspect of successful B2C marketing that your roofing business could use to boost its client base. As a trade, roofing is sometimes saddled with a bad reputation. And while it’s true that some roofing replacement businesses deliver shoddy work and non-existent customer care, many of us are professionals who take tremendous pride in our work and our businesses. Today, we’re sharing practical roofing business tips on how to build trust with roofing customers and give your company a good name. Damage happens. No matter how careful your roofing crew is. Chances are, you’ve paid out more than you’d like to compensate homeowners for jobsite property damage. Use these tips to reduce the dings, scrapes, and shatters that damage the bottom line and scuff your reputation. Social media presence is virtually a must-have when you want to connect with prospects and customers, but it’s not your only option. A newsletter—yes, that decades-old marketing tool—is another option to add to your marketing toolkit. Dive into these HVAC marketing tips that will help you connect with a newsletter. Is it time to add a roofing sales professional to your business? Whether you’re an old pro at hiring salespeople or this will be your first sales hire, these tips will help you refine or develop a framework for finding the right sales candidate. No matter how busy it gets during peak roofing season, it’s still essential to make sure your contracting company creates a positive impression through electronic and online channels. Learn five hassle-free roofing marketing tasks you can do in five minutes or less—yes, even during busy season! Are you feeling the heat yet? And we’re not talking about the temperature. Late summer is a peak season for roofing businesses, a time often marked by long days of work and weeks of backlogs. Learn 8 roofing business productivity tips to help you survive peak roof replacement season. Customer relationship management (CRM) software is one tool that will help you rock productivity and make better-informed decisions for your roofing company. Ask these nine questions when it’s time to invest in a CRM system for your roofing marketing, sales, and productivity. Having trouble finding dependable roofers? You’re not alone. The roofing industry is in the midst of a labor shortage that can impact your bottom line. One strategy to help protect your business is to retain employees currently on staff. Here are the do’s and dont's of employee retention in the roofing business. Why work harder when you can work smarter? Boosting productivity is absolutely one of the most effective ways to grow the bottom line. Use these five roofing productivity tools to send productivity through the roof. Will a CRM help you work smarter? For many roofing replacement businesses, a customer relationship management (CRM) system is a mission-critical business tool for building a healthier bottom line. This quick guide will give you the basics about CRM platforms for roofing sales, marketing, and productivity. Show. Don’t tell. That’s the emerging message for roofing business owners and managers who want to engage consumers and stand out from the competition. This guide will help you leverage the power of visual content in your roofing marketing. From word-of-mouth to online reviews, the testimonial is the most effective way to market your roofing business. So how do you take a happy customer’s testimonial and leverage it into a long-lasting referral? Dented HVAC units. Smashed bushes. Shattered bird baths. Roofing is a messy job. No matter how hard a crew tries to protect a jobsite, the risk for property damage is always present. Check out these tips to reduce the possibility of property damage so you can keep costs lower and maintain a great reputation. Marketing for roofers can be a tough hill to climb sometimes, but it doesn't have to be. We are here to make the climb a little easier. You understand social media sites, like Facebook, Twitter, or Instagram, can help you engage roofing prospects and customers—but how can you make these networks work for you? Check out these best social media practices to help you market your roofing business to a healthier bottom line. Roofing isn’t the easiest occupation in the world. Any roofer can attest to that. One of the reasons it can be a tough job is because of the near-constant safety concerns. Learn how the Equipter RB4000 will help your roofing replacement company work smarter—and safer. Roofing equipment like the Equipter RB4000 can boost your bottom line. What would your bottom line look like if you could bill four or six more jobs every month? For some roof replacement professionals, that scenario is becoming a reality. Check out how the Equipter RB4000 is helping roofers complete more jobs each month—and how this roofing equipment can do the same for your business. Blogging might seem like one of those pie-in-the-sky business ideas that you think you don't have time for! In reality, a HVAC blog can be an important part of marketing your HVAC company to prospective clients. The challenge is that it can be hard to find time to come up with HVAC blog ideas when you’re juggling so many other responsibilities. 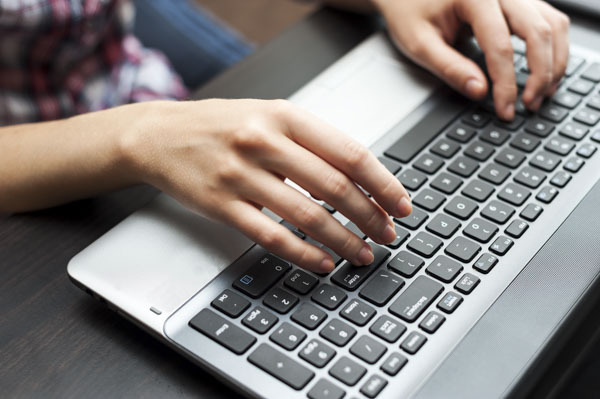 Jumpstart your online marketing with these 26 HVAC blog ideas. First, let’s do a quick review of why blogs matter in marketing. If you’re gearing up for spring and summer projects, now is the perfect time to make sure your roofing, HVAC, or contracting business has the tools and resources it needs to build profit. Use this checklist to clean out the winter cobwebs so you’re ready for the busy season. Exhibiting at a home show isn’t cheap. Your business is making a significant investment in time, money, and people power--but the payoff can be just as big if you go into the show with a strategy for success. Many factors play a role in having a profitable home show, and these pre-show marketing tips will give your roofing, contracting, or HVAC business a healthy jumpstart. As you gear up for spring projects, hiring new roofers might be on your to-do list. But if you want to build a crew that helps you generate referrals, you’ll need to interview for more than skill with a nail gun. Check out these 4 non-manual labor skills to look for in roofing job candidates. Whether you’re considering adding a roofing blog to your marketing strategy or you’re tapped for roofer blog topic ideas for an existing blog, this list of 25 roofing blog ideas will get those creative gears moving. It’s the day after the home show ends…time to kick off those shoes and wait for the roofing projects to roll in! Not so fast. You and your team will need to work just as hard in the days following the event if you want to leverage the show for profit. Get geared up by adding these 4 post-show tasks to your must-do list to better your home show marketing. ‘Tis the season for roofing home shows. If you own or manage a roofing replacement or contracting business, you understand these events can be an effective way to showcase your services and attract prospects. But there’s more to home show success than tossing brochures onto a table. Check out these do’s and don’ts for making home shows profitable. As a roofing professional, you work hard to build a profitable business. But sometimes the secret to success is not found in working harder—it’s in working smarter. Check out these three tips to work smarter (not harder) to build a booming roofing business. Family is big in the small business world—some experts estimate that family-run businesses generate over 50% of the U.S. Gross National Product (GNP). The Equipter team knows a bit about operating a family business. For more than 15 years, Aaron Beiler and his sons operated a successful roofing replacement company before developing the Equipter RB4000. Check out these tips for managing a family roofing business, along with insights from the Beiler family. Tweets. Posts. Likes. Chances are good that you want to spend your valuable time booking and completing projects. Social media-related tasks might not be high on your priority list. Yet potential and current customers continue to use social media to find and review home services just like yours. Check out these 4 painless, quick social media tips for roofers and contractors. “Good will toward men” shouldn’t stop when the last holiday wreath comes down. No matter how big or small your roofing or construction business might be right now, it’s an integral part of the community—one with the power to share time, talent, and resources with neighbors. Here’s a 3-step plan to help your company give back to its community. So what’s your roofing equipment done for you lately? Traditional tools of the roofing trade—scissor lift trailers, hydraulic lifts, and hydraulic trailers—may make your job somewhat easier. But how would your roofing jobs change if your equipment was more than okay...what if one tool could save labor costs, drastically reduce material-handling hassles, and make homeowners happier? Let’s face it: Competition is tough in the residential roofing industry. Homeowners often have many choices when it’s time to choose a roofing contractor. What can you do to show a homeowner that you are the reputable roofing company ready to do the job right? One strategy is to put New Roof No Mess to work for you. Here’s how it gives you the edge over the competition. Whether you’re buying an additional hydraulic dump trailer or replacing one that’s seen better days, you probably have a pretty good handle on what you’re looking for in this kind of roofing equipment. But the real question is: Is a hydraulic dump trailer the best equipment option for your money? Do you have the right tools for your roofing jobs—the kind of equipment that makes you more productive while reducing hassle? The real-world measure of any tool’s value can be found in what the roofers who’ve worked with it are saying. Here are three reasons for any roofing employee to love the Equipter RB4000. Owning a lasting roofing company is much more complex than doing the manual labor. It’s about building your business by connecting with your customers and ensuring the future of your company. Cleaning up on the jobsite and dumping debris can be a chore. It’s time consuming and uses skilled manpower that would be better used doing the roofing work that really matters. Having been roofers ourselves, we decided there had to be a more effective way. That’s precisely why we created the Equipter RB4000. We know you didn’t get into the roofing business because you thought it would be easy. But that doesn’t mean you shouldn’t look for tools that can help you do your job with less effort. There’s a lot of competition out there, and roofing contractors don’t always find it easy to differentiate themselves and become the preferred roofing company in their area. With the Equipter RB4000 and the New Roof No Mess® program, you can set yourself apart and become roofing company of choice. Who’s not a fan of saving a buck or two or three? Below are three tips that can help you save money in construction. How do you handle roofing debris management? Over the years I have seen many different ways to tear a roof off and dispose roofing debris. I’ve tried some of them myself. In this article I’d like to share a few methods and hear from you to see what you have found to be successful. Roofing... An Industry probably almost as old as Adam. Over the years many companies have come and gone. It’s a job that requires hard work and diligence whether you are a company owner or an employee. So why do we do it? Hopefully because we love it! And let’s be honest. There’s money to be made. Nothing great comes easily especially in this industry, but if you're willing to stick it out and make things happen there are satisfying rewards to be gained.